I was also very impressed by this picture in P. Dodson's book. 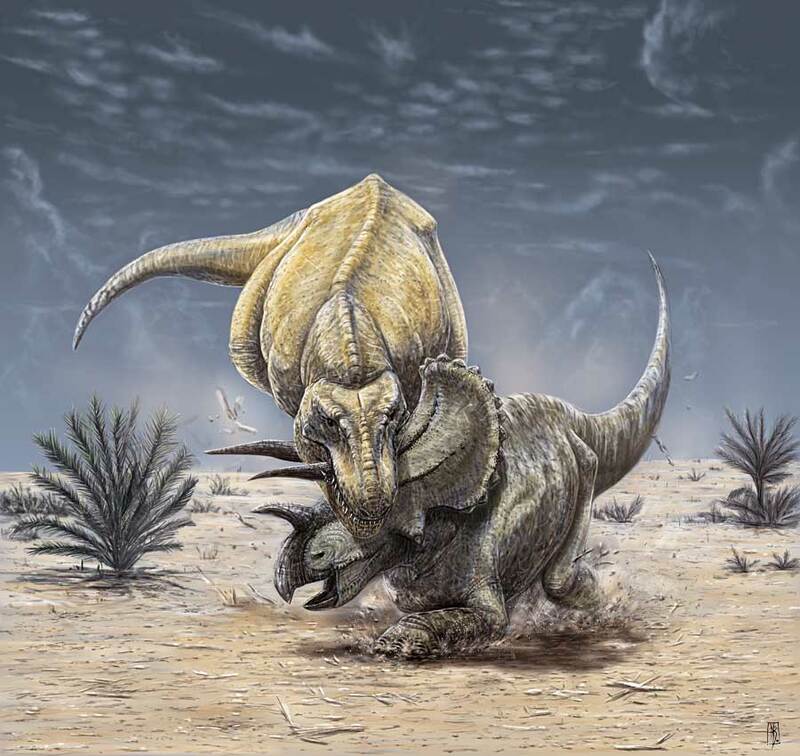 I love the challenge attitude of the Triceratops, ready to do the same again if necessary, full of adrenaline. ...and I can't resist to the temptation of showing an artwork I've done few years ago of this classic fight.